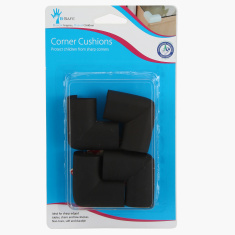 B-Safe Corner Cushion - Set of 4 | Black | Protect your little one from danger in the household. Let your kid enjoy moving around the house without you being worried about bumps and bruises as you install these corner cushions at the sharp edges of the home furniture. 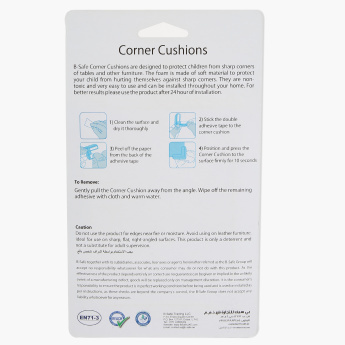 Extremely easy to use and maintain, this set is a must-have.